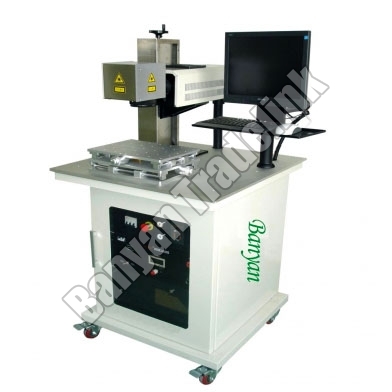 Fiber Laser Marking Machine (I-10-20W) is used for laser marking of all metals and non-metals. It finds its extensive usage in electronics separation components, integrated circuit, electrical engineering circuit, kitchen wares, tool fittings, eyeglasses and clock, computer keyboard, jewelry accessories, plastic buttons, water heating fittings, sanitary ware, PVC pipelines, medical apparatus and packing containers etc. We share glorious credentials in the list of reputed Importers, Suppliers and Exporters of Fiber Laser Marking Machine (I-10-20W) from Ahmedabad, Gujarat. The Fiber Laser Marking Machine (I-10-20W) that we offer is high in demand due to its smooth functioning and longer operational life.